assar hosted its first annual Immigrant Youth Empowerment Conference on Sept. 22, featuring panels and workshops addressing the concepts of resilience and resistance in immigrant and undocumented experiences. Courtesy of IYEC. 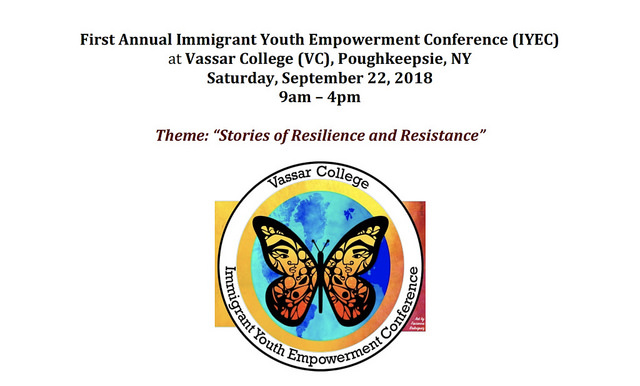 Leading up to Saturday, Sept. 22, Vassar’s campus was adorned with flyers featuring a vibrant butterfly splashed across the front, which advertised the first annual Immigrant Youth Empowerment Conference (IYEC). As the name implies, Saturday’s conference was the inaugural event in what is planned as a series of annual conferences aiming to inform and empower immigrant and undocumented students. Included in the conference were workshops, a plenary session and a keynote address by the founder of the undocumented youth resource program Adelante Student Voices Gabriela Quintanilla. IYEC planning committee member and Assistant Professor of Education Jaime Del Razo explained that the idea for the event was first conceived in the fall of 2017, following national talks concerning the government’s potential revocation of the DACA policy. Del Razo mentioned that, although this is only his second year at Vassar, he has experience organizing similar events from when he lived, worked and studied in California. Del Razo was able to mobilize the multitude of interested community members both on and off campus to bring this historic event to fruition. He further mentioned that being an immigrant student can sometimes feel very isolating. The conference thus aims to help these students find a place where they can resist the litany of anti-immigrant rhetoric that is so prevalent in this day and age, illustrated in national polemics surrounding DREAMers and migrant separation policies. Just in the last month, the Trump administration announced a proposed policy denying green cards to anyone who relies on public assistance benefits. Although the conference was focused on informing and empowering immigrant youth, Del Razo mentioned that myriad opportunities exist for others who are interested in working with immigrant and undocumented community members. The theme of the conference, unique to this year’s iteration, was “Stories of Resilience and Resistance.” Organizers of and participants in the conference told stories of immigrants, narratives which are generally overlooked and which may not typically be discussed on college campuses. Immigrant stories and experiences are often told among the immigrant community through diverse mediums such as songs, oral histories and art, which can then be passed down to younger generations. By telling these stories in a more concentrated way to students with whom they would resonate, the conference seeks to help build the consciousness, resilience and resistance of immigrant youth. Co-Coordinator of CollegeConnect and former Vassar College Counseling Service psychotherapist Lisa Reticker ran a workshop that discussed the ways in which immigrant students can communicate with their parents—some of whom were in attendance—and balance their disparate worlds and cultural dualities. Not only was the conference open to the Vassar community, but the IYEC also invited around 100 local high school students and community representatives. One workshop, which addressed the specific origins of conference participants, was titled “EPIC: Central American Immigrant Youth Learning and Leading in Rural Dutchess County.” The focal point of this workshop was sharing stories that were meaningful to participants both in Guatemala and New York. In addition to a variety of workshops, the conference also included a plenary session moderated by Associate Professor of Sociology Eréndira Rueda. This session, called “Lived Stories of Resistance and Resilience,” also followed the overall theme of the conference, featuring four Vassar alumnae/i who grew up in immigrant families. The plenary session presented an opportunity for the alums to share their experience at Vassar and the ways in which their immigrant family backgrounds influenced that experience. The panelists also discussed the meaning of resistance and resilience in their eyes and how their identities and circumstances have influenced them in the professional world. Panelist Alicia Lewis ’18 shared how she came to the United States with her family from Trinidad when she was seven years old. While at Vassar, she was a part of the Transitions program, which supports first-generation, low-income and/or undocumented students. During her senior year, Lewis joined the planning committee for Adelante Student Voices, an organization of which she is still a part. In addition to participating in the panel, Lewis ran a workshop titled “Our Virtual Identities: Media Literacy and the Politics of Representation.” This topic has interested her since she got the chance to conduct an independent study on undocumented youth and the rise of the immigrant rights movement. Finally, the conference included an address by the keynote speaker Quintanilla. Del Razo, in reflecting on the conference, emphasized the amount of work that went into making this event possible and how grateful he was to those who contributed to its success. He remembered that when he organized a new course for the Spring 2018 semester titled “Undocumented, Unapologetic, Unafraid” alongside Rueda, his colleague and fellow member of the planning committee, there was great support and interest from the College, from students and from the participating Education and Sociology Departments and Latin American and Latino/a Studies Program. The conference itself was similarly well-promoted. 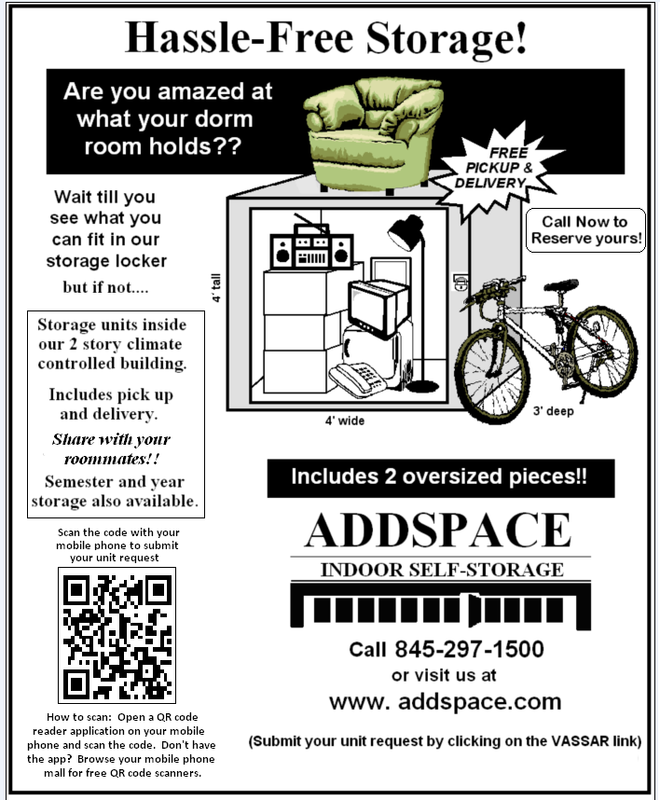 The packet that each participant received featured a list of people and groups who had founded, sponsored or supported the IYEC, ranging from the ALANA Center to various academic departments to President of the College Elizabeth Bradley. Indeed, Del Razo commented that he felt this wealth of support all throughout the planning and implementation of this inaugural IYEC.